Today I have got an interesting post for you with lots of pictures because I am entering to have the chance to be one of the OnStage Display Stampers in November. Now that I have been a demo for just over a year now and this will be my second OnStage event so I thought I would be brave and enter! 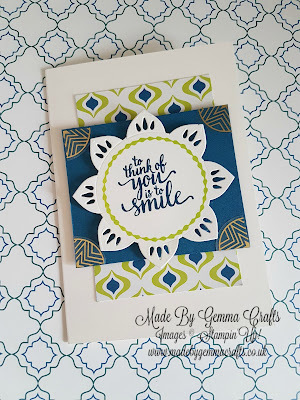 For those of you who don't know what OnStage is, it is a day where around 400 demonstrators come together to share their love of Stampin'Up!, play with new goodies and have lots of crafty fun! 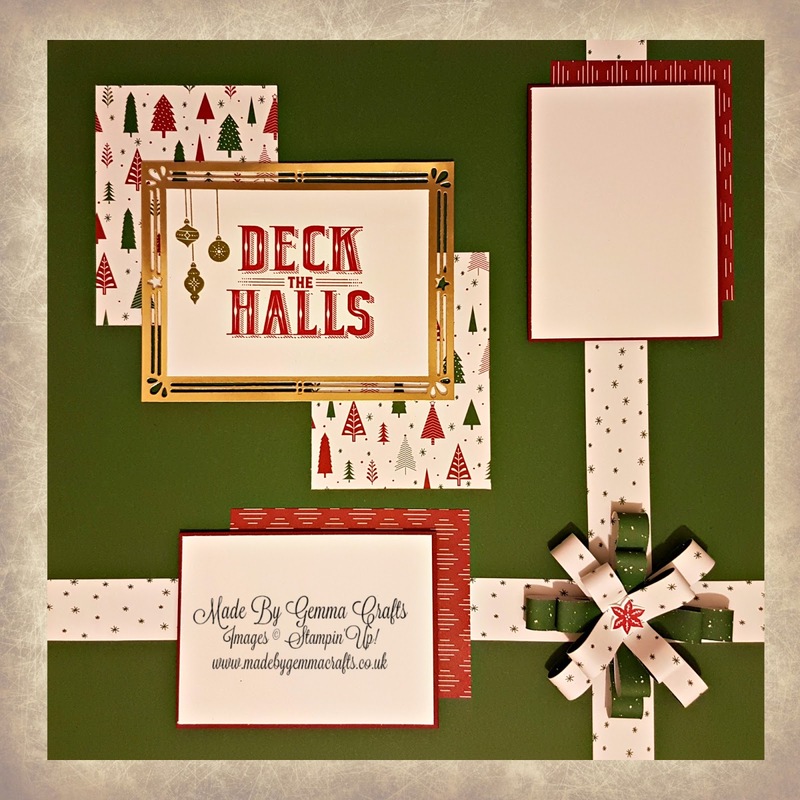 For this I have had to chose 3 cards, one scrapbook page and 2 3D projects. I have had alot of fun going back and looking at my cards and projects from the past year and I have thrown in a few new ones too! 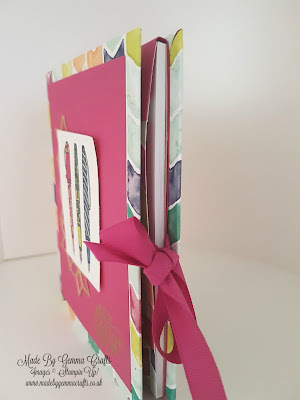 I am new to the world of scrap booking but I really enjoyed making this one with the brand new Christmas stamps and thinlits dies! 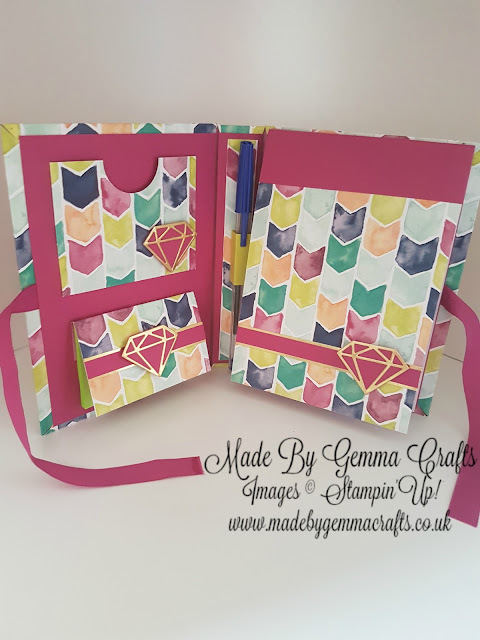 So you have a little sneek peek of whats to come from the Autumn/Winter Catalogue! 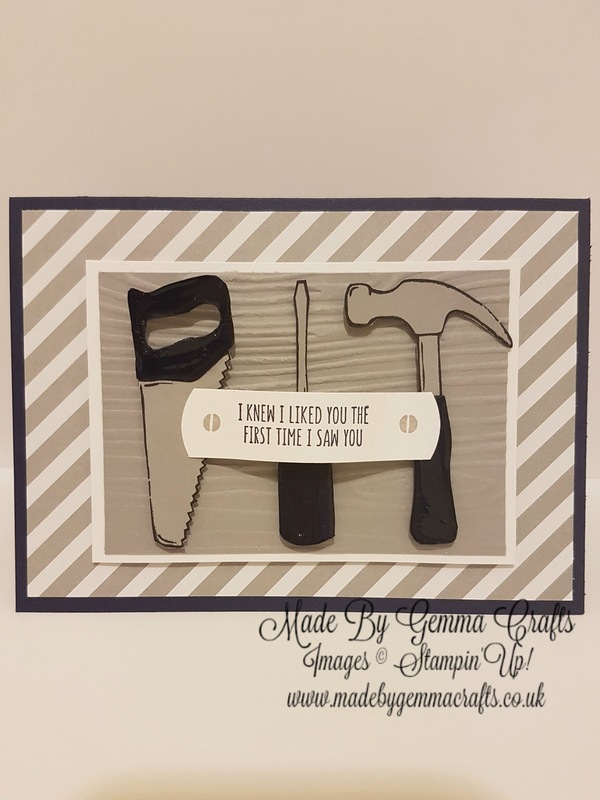 The 1st is made with the Nailed It stamp set from the Spring Summer Catalogue, This was one of my favourite set from the catalogue as I like making masculine cards as I have a lot of men in the family! The final one again is a recent make and is part of a set of notecards using the Eastern Palace suite, This is my favourite from the set. 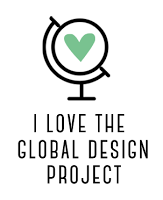 Here are my 2 3D projects one of which is a brand new project so this will be your first look! 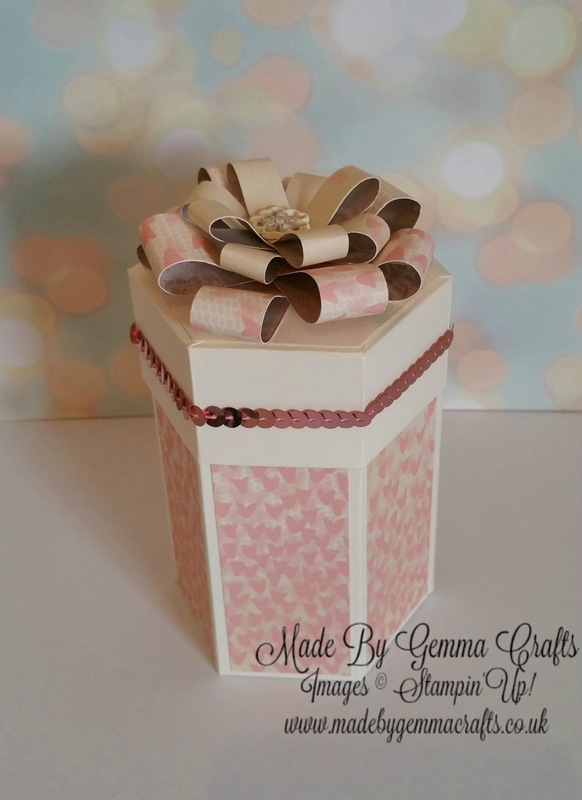 The first is a hexagonal box, I love making boxes of all shapes and sizes and this again is another favourite so it was a no brainer when choosing my projects. Below is my new project which is a notebook/organiser. The structure is actually made from the thick board in the packaging of the gold foil sheets. 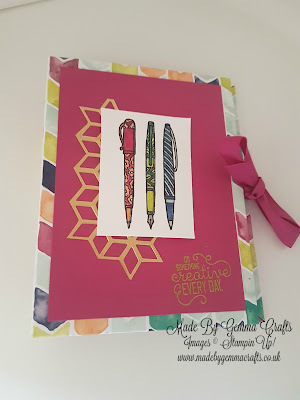 I used the Naturally Eclectic DSP with Berry Burst card to cover the board, I then covered and adhered a note pad, pocket and sticky notes on the inside along with a pen to finish! The final touches were added with the Eclectic layers thinlits and gold foil sheet. I used the pen image from the Crafting Forever stamp set for the front along with an embossed sentiment. 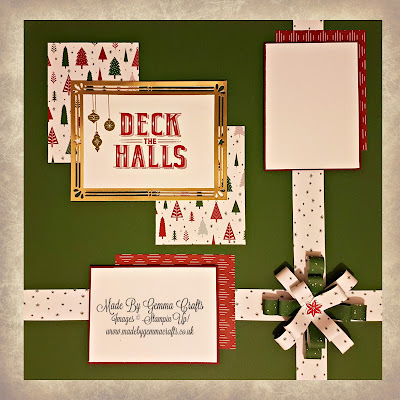 There is space for two pictures and I have used the frame die with some gold foil sheet which is just beautiful. 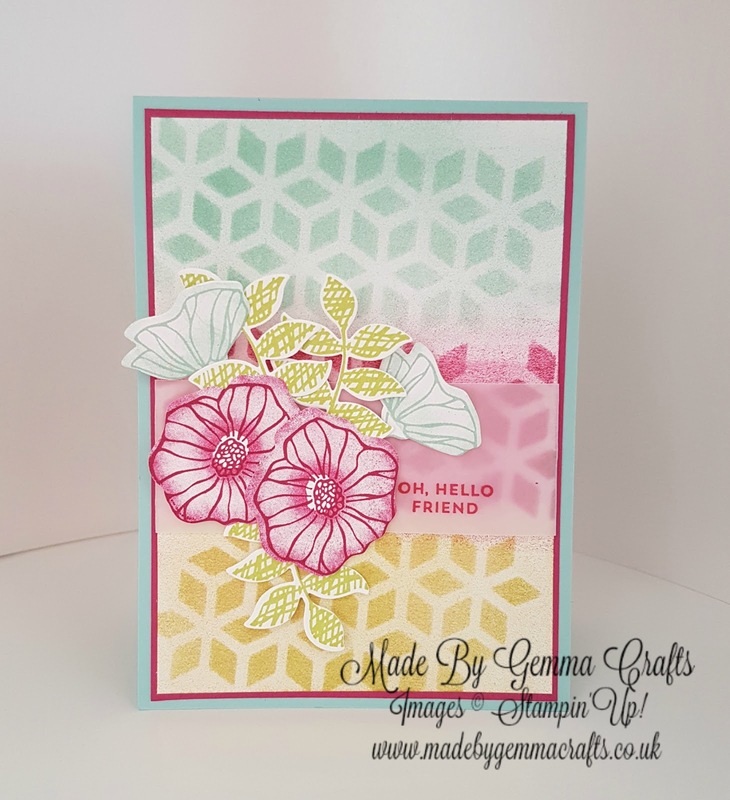 Watch this space for some new samples coming very soon of this new bundle which will be available to you from 1st August! Thank you for taking the time to take a look today, It was a long one! I've got my fingers crossed for my entries it would be amazing to have the opportunity to be a display stamper. I will keep you posted! These projects are just gorgeous, Gemma. I'm sure you will be selected!